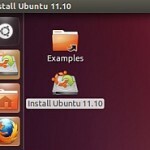 This is a complete tutorial on how to get your Focusrite Saffire Pro 40 to work in Ubuntu 11.10. 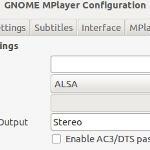 At the end of this tutorial, you should be able to record and play with this Firewire audio interface in Linux/Ubuntu 11.10. Before proceeding with the steps below, make sure you have connected the Firewire cable from Saffire pro 40 to your computer. Only connect the Firewire cable when your system and your audio interface are entirely off (not powered). After connecting Saffire Pro 40 Firewire cable, connect your studio/nearfield monitors to the audio interface. This would allow you to monitor the results of your recording. For details; refer to the audio interface manual for guidelines on connecting this hardware to your computer. 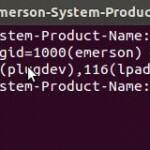 Once everything has been connected, boot to Ubuntu. Follow the steps below. 3.) Go to your Dash home. In the search box, type “Synaptic Package Manager”. Click to launch it. Enter your Ubuntu password. 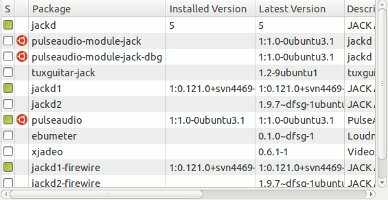 VERY IMPORTANT: If you have previously installed JACK and FFADO using subversion or source code compilation (not using Synaptic or Ubuntu software manager), you need to remove that first. Follow the uninstallation procedures of FFADO and JACK. 4.) In the quick filter, type “ffado”. Install the following packages as shown in the screenshot below. (Green marks are installed packages; they are required for any Firewire audio interface to work). 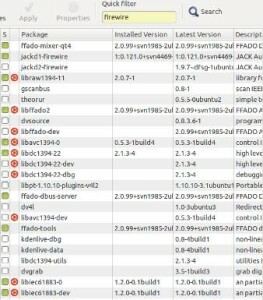 In addition, some packages installed by bulk (several packages installed together). For example, installing the ffado mixer would also automatically install libffado, etc. Another example is that installing the jackd1-firewire would also install all required jackd components such as shown below. 5.) After completing the above installation, you need to install Ardour which is the default digital audio workstation for Linux. 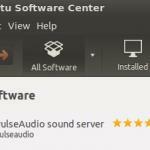 Simply go to Ubuntu software center and install it. Only Ardour should be installed; since JACK and Real time configuration has already been completed earlier.